Could you maybe supply info on how big they are (diameter and thickness). I would be interested in a trade. The geocaching.com site is down this morning, so I sent you a PM instead of an email. 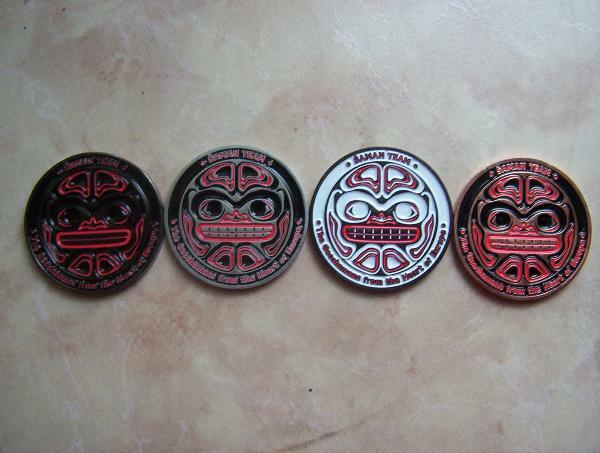 I probably don't have anything you need but I wanted to say very kewl looking coin. 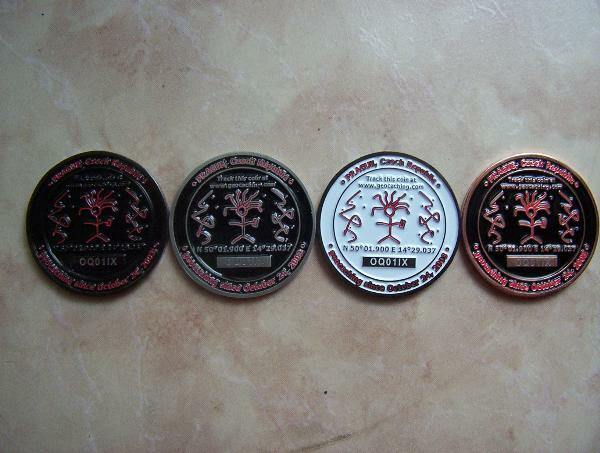 At http://www.cachezone.de/shop/ you can probably try to buy the bronze edition of my geocoin, but I do not know how many do they have yet. I'd like a silver, if they are not sold out? Are they? yes they are but I do not have an paypal account, so it is complicated with the payment. If you want to pay through the bank transfer, order them at geocaching.cz site. Anyway, I am going to set up paypal account next week, so it will be easier. For all who has interest to trade my coin: I will be offline for 3 days now, that will be the reason that I will not answer your mail immediately, I will be online on Tuesday. email sent for trade, I hope I'm not to late!